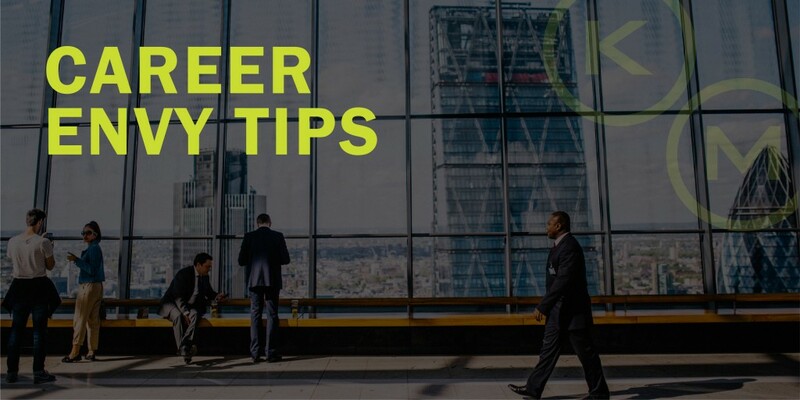 Career envy can find you in many places, whether it be those “Congratulate Rachel on her New Position” emails or pictures of your college friend on a work trip to some exotic locale. First and foremost, it’s totally natural for these occurrences to jolt something inside of you. It’s what you do afterward that makes a difference. You’ll find is that if you take those feelings and channel them productively that can support your own career goals. No matter what medium you receive the news on, we suggest you pause on question any assumptions you might’ve made based off the post. Just because someone got a promotion or an award at work doesn’t mean they are happy with their job or the sacrifices they had to make to get where they are. People rarely share things like their recent job loss or the dinners with friends and family they had to cancel to get where they are. Thinking through the things you might not be able to learn from just a picture or email alone will help keep you grounded. Undoubtedly, you had some career wins that didn’t make the internet or social media. Before you start touting other’s ‘Ws’, take account of your own! Maybe you got a raise or got a shout out in an all-internal email. Print out any emails or screenshots that might pertain to your offline wins and keep a folder for you to look back on so you can remember all the awesome things you’ve accomplished. While you’re taking a mental inventory of these things, you might think of some accolades that you wouldn’t mind adding to your resume or LinkedIn. Things, like being a top performer or winning an internal contest, would be some things you might want to include. If you don’t want these updates to get sent out to your network, feel free to hit ‘no’ on the ‘notify your network’ section! If someone else is hitting benchmarks that incite envy, make those your new goal. Don’t be afraid to ask your boss or coworkers what they think you could be doing better. They work with you day in and day out and might be picking up on a roadblock or habit that’s unnecessarily holding you back! If you’re even feeling up to it, reach out to that person in your network and invite them out for coffee to pick their brain and learn from them! Take all that feedback and turn it into an action plan for you to achieve success. And ultimately, if that soul searching has you interested in new opportunities, let’s talk! KellyMitchell is currently hiring all over the country and we are always excited to meet ambitious, motivated recruits! Check out our openings here!